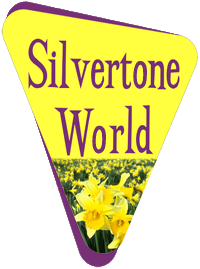 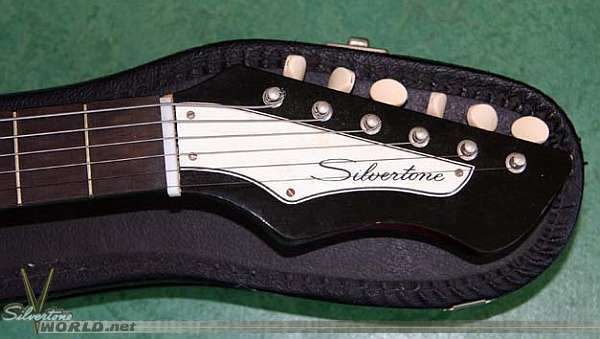 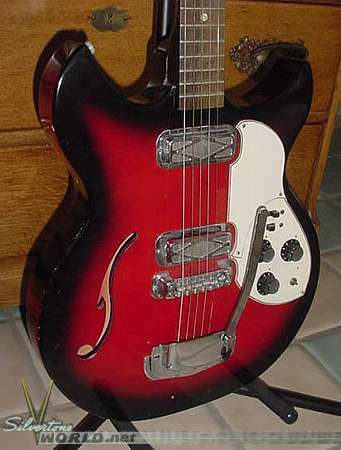 The 1453 never appeared in any major seasonal catalog, but this gem did appear very late in the Silvertone-as-a-brand game in the 1970, 71 and 72 Sears Electronics supplemental catalogs. 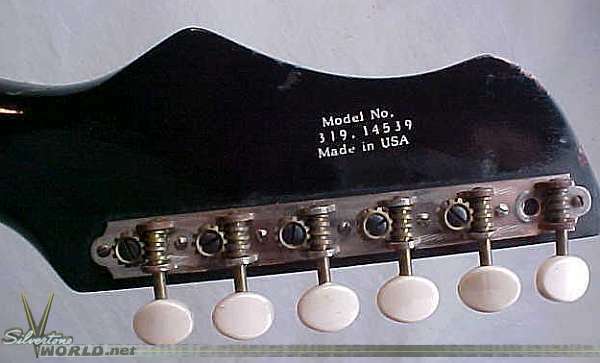 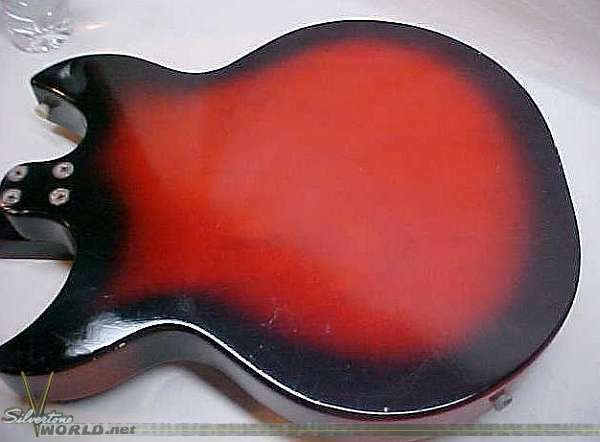 I've seen examples of this guitar date-stamped as early as 1968. 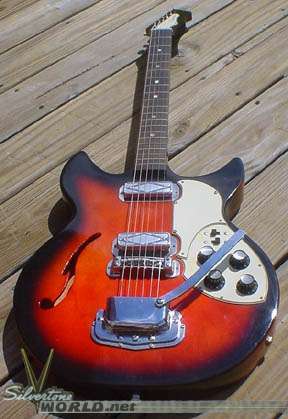 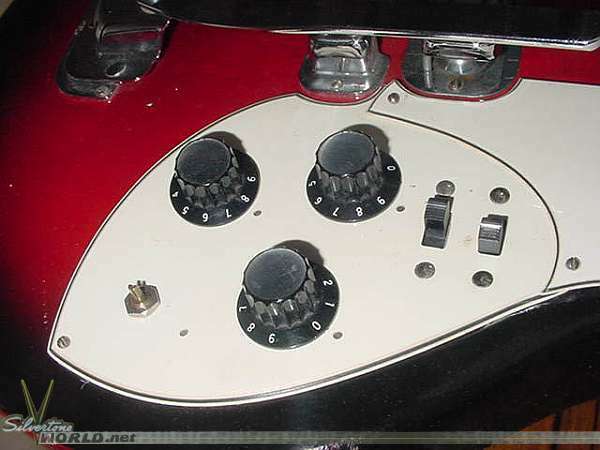 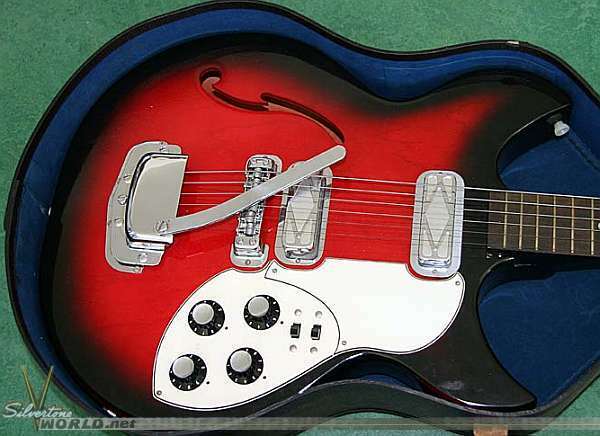 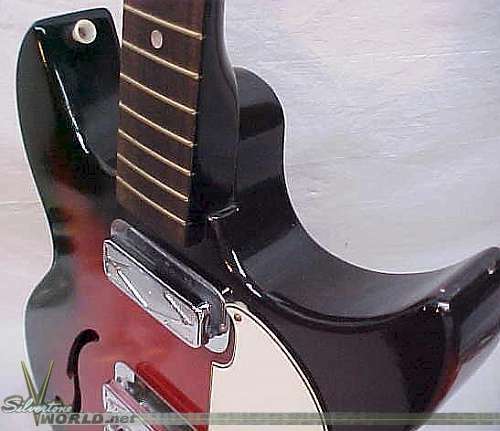 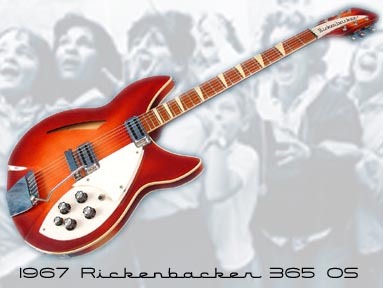 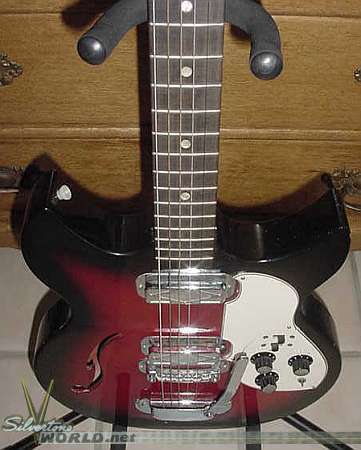 The 1453 was the Silvertone cousin of the 2-pickup Harmony Rebel, a Rickenbacker look-alike, certainly meant to fill that "I wanna look like John Lennon/Pete Townshend" desire some players must have had. 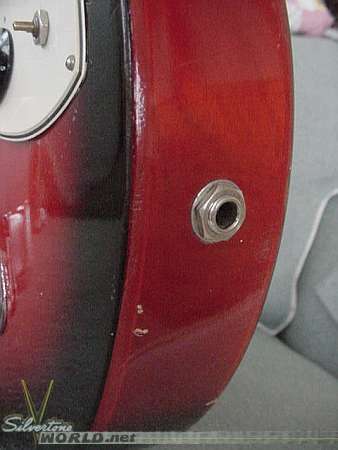 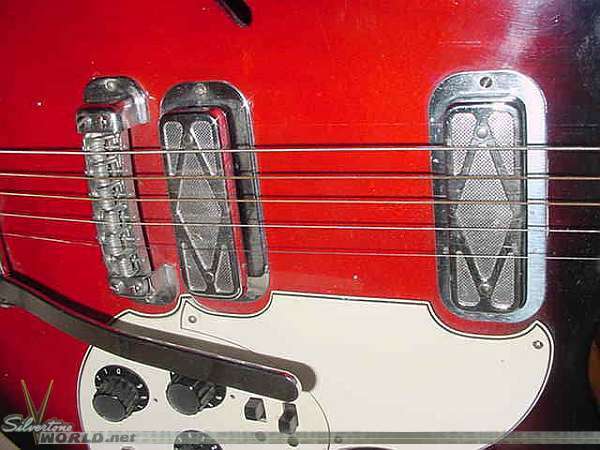 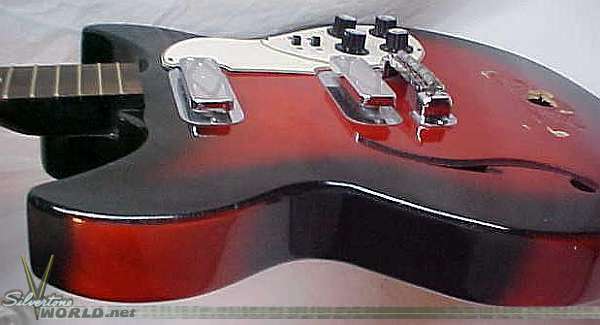 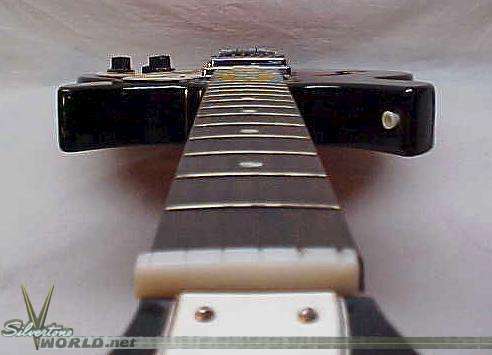 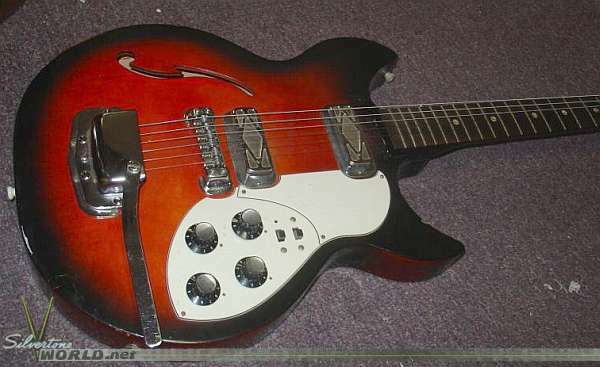 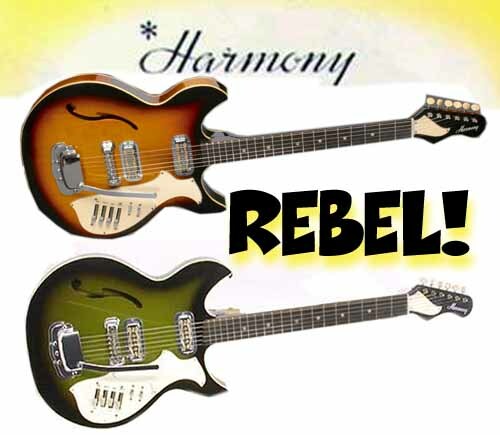 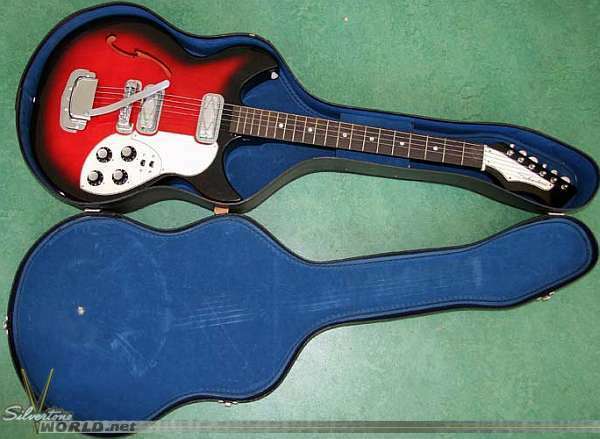 The 1453 actually looked a lot more like a Rick than the Harmony Rebel (available from 1967-71) did. 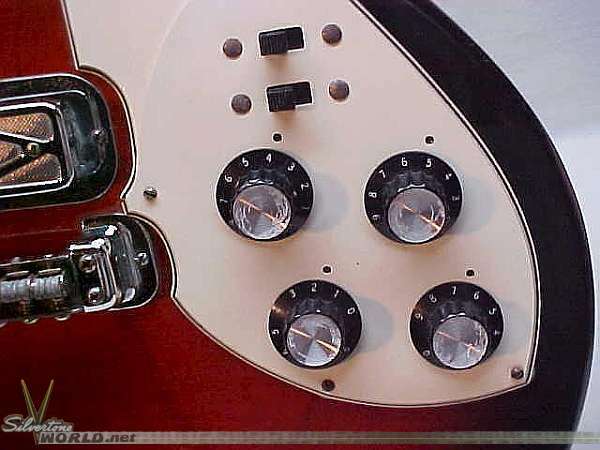 The Rebel (see pics on bottom row) had sliders instead of knobs.